More and more, presenters are presenting online, using webinar services. So I thought I’d share my experience and maybe comparing webinar services will help you make a choice. I’ve switched to Zoom! I’ve used GoToWebinar for many years but a friend (thanks, Sheila Finkelstein!) introduced me to Zoom. I tested it for several months and a few months ago I took the plunge — I cancelled my GoToWebinar/Meeting account. 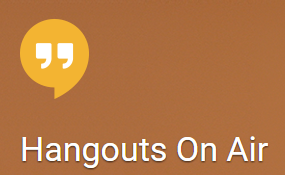 I also considered Google+ Hangouts on Air along with Webinarjam, which is software that enhances Hangouts on Air to broadcasts give them more webinar-like features. Here’s my story of my experience with comparing webinar services–Google+ Hangouts on Air, GoToWebinar (including GoToMeeting), and Zoom. A while back, I taught a course on webinars and wanted to show participants how to use HOA. The night before the live course session, I practiced — I often practice — but also because i wanted to do something a little complicated — embed the HOA on my website as it was happening. The next day, I opened the HOA (about 15 minutes early, because I like to make sure everything is working) and the Embed link was gone! Google had changed the interface. It turned out that the feature was still available, but hidden behind an icon that I didn’t understand. I survived. Because I had that 15 minutes, I started the HOA early, found it on YouTube, and used YouTube’s Embed feature. A scary moment! But I realized that Google does that. When you pay for a webinar service and they change the interface, they send you an email about it, with tutorials. Google doesn’t do any of that. Also, HOA works on an account system. Basically, you have a Google account (meaning an email address, preferably a Gmail account) and use that. When you sign people up for a webinar, they often give you a different email and sometimes can’t get in. I’ve seen this numerous times. Zoom and GoToMeeting/Webinar both provide a URL that people use to log in. Once they’ve downloaded the viewer, they can easily log in; their email address is irrelevant. I tried Webinarjam, which is a webinar service that adds webinar-like features to HOAs. It has lots of great features — and I wouldn’t recommend using HOAs without it — but it doesn’t solve the problems of people being unable to get in, the lag, or Google making changes whenever they want. Zoom starts with full-screen webcam. In this way, people see me in a big window, not a tiny one. They can see my expressions and they can focus on what I’m saying. It makes for a more personal experience. GoToMeeting/Webinar is a screen-sharing only program. You always need to be showing your screen, which generally means slides –although you could be showing software or your browser. When you switch to screen sharing in Zoom, then the webcam becomes a small window, but you can move it around as necessary. Zoom has both meeting and webinar modules. The free and $14.99 versions are for meetings — Zoom shows webcam video of everyone in the meeting (up to 50), with the speaker showing front and center. Zoom records the webcam window, even when you’re sharing your screen. (You can close it if you want.) GoToMeeting/Webinar doesn’t. It can handle up to 3000 attendees with the webinar module — not that I’ve tested that many people! GoToWebinar maxes out at 1000. GoToMeeting/Webinar’s advantage? It has 24/7 phone support. For an extra $5/month, Zoom offers phone support, but I’ve been happy with the email support, which is excellent. What webinar service do you use and how do you use it? Why is it your favorite? There are lots of other choices — join.me, WebEx (Zoom was created by 2 former WebEx people — I call them ex-WebEx people), AnyMeeting, Adobe Connect, Instant Presenter, InstantTeleseminar, and Zoho Meeting. Leave a comment! If you find this post useful, please share it with others using the Share buttons below. Great info. I’m doing the same research now. Does Zoom offer the ability to charge for the session via credit card? GoToTraining offers that and we need it now. I enjoyed your comparison,but I still don’t know what HOA is that you referred to in your comet. I am looking for a solution that offers a ‘flipped webinar’. This is similar to the idea of a flipped classroom in eLearning. 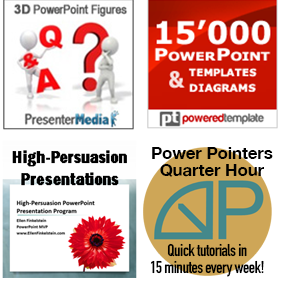 The presenter makes a normal webcam video, with slides, and uploads this to the platform. An accompanying PDF can also be uploaded to give extra value. People who register and pay can then watch the video as often as they like, any time anywhere, and download the PDF. There is then a scheduled live webinar to ask questions, discuss, etc, and participants are able to IM via a chat window as normal. A moderator is needed to keep monitoring the IMs live and feed the best questions to the presenter – just like a regular webinar. Doing it this way has a ton of advantages. The presenter can keep doing the initial video over again until they are happy with it, and then upload it. Using Camtasia they could easily edit it, add titles, whatever. Once on the platform the participants have the any time anywhere benefit. The follow-up live webinar can focus on clarification and discussion, given that the participants are now familiar with the material, and not on things that are obvious etc. And finally, the video is archived there on the platform to be reused for another repeat session, with another batch of paying participants, only requiring another live webinar with that new group of people. Rinse and Repeat. Does Zoom offer that? If not, does anyone know of a suitable platform? Great idea! I’ve written about this concept at http://www.ellenfinkelstein.com/pptblog/flipped-meeting/ but that wasn’t for online webinars. Zoom doesn’t have this feature; it’s only one piece of the puzzle. I would do it using a combination of email and web pages. For example, I would have people register for the webinar on my website and then redirect them to a page with the PDF to download. And I would follow up with an email that had the link to that page as well. And I would remind people a day before the webinar to read the document. If you don’t have email or a website, you could have people register in Zoom and edit the reminder emails (that you have to configure) to include a link to a document in some other storage, such as Google drive. That would be a simple way to do that. HOA = Hangouts on Air. Google’s service is Google+ Hangouts on Air and that’s usually abbreviated to HOA. Kevin, Zoom doesn’t come with its own shopping cart, if that’s what you mean. I often do webinars that I charge for, but I use my own shopping cart on my website. I uses PayPal, and of course people can use a credit card to pay. Thanks, Ellen. This was a useful comparison. We don’t need webinars right now but two organizations I work with needed an alternative to Gotomeeting for their group conversations. Zoom seems to meet their price point. Accutel is an awesome one stop solution to all these different needs. Adobe connect is available for webinars and meetings needing multiple Webcams visible at once, an entry level product, Web Presenter, for smaller meetings (similar to webex platform, but with more features) and of course the audio conferencing as well. All with a dedicated account manager, and immediate operator assistance during any call. Zoom webinar is $54 a month now. Zoom video conferencing is good. Additionally, you may also have a look at on premise R-HUB HD video conferencing servers. It provides 30 way HD video conferencing and works on Windows, MAC, Android, iOS etc.